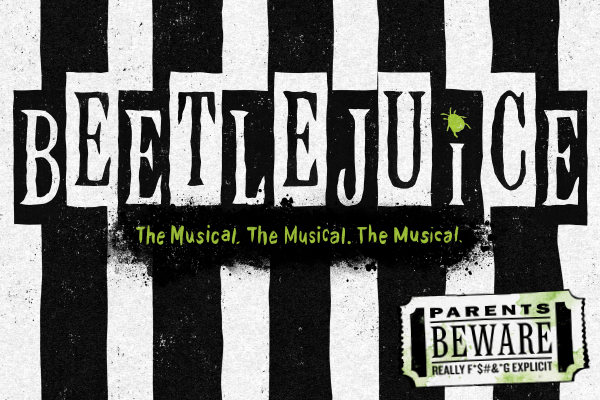 The National Theatre announces its ticket lottery program for the 2018-19 “Broadway at the National” season - starting with the pre-Broadway world premiere of Beetlejuice, onstage October 14 thru November 18, 2018. The National Theatre is located at 1321 Pennsylvania Avenue, NW in downtown Washington, DC. Two hours prior to the start of all “Broadway at the National” performances this season, individuals may submit their names in person to be drawn to purchase up to two tickets at $25 per ticket (inclusive of all fees.) 20 Lottery seats will be available for each “Broadway” series performance during the 2018-19 season. Names will be announced 30 minutes after the entry period (90 minutes prior to the show.) Individuals must be present, with cash, to redeem the offer. 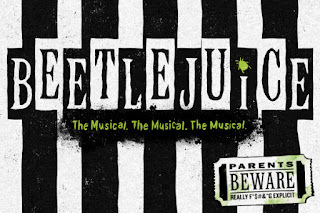 Beetlejuice is directed by Alex Timbers (Moulin Rouge!) and features choreography by Connor Gallagher (The Robber Bridegroom), an original score by Eddie Perfect (King Kong) and a book by Scott Brown and Emmy Award nominee Anthony King (Broad City.) It is based on the 1988 Academy Award-winning Geffen Company motion picture with story by Michael McDowell and Larry Wilson. Parental discretion is advised. Beetlejuice contains strong language, mature references, and a lot of the crazy, inappropriate stuff you would expect from a deranged demon. For parking information, visit thenationaldc.org/directions-parking/. On show days, including weekends, the box office is open two hours prior to the performance start time, and closes 30 minutes after the show begins. 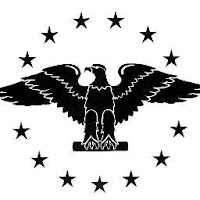 Managed and programmed by Jam Theatricals since 2012, the National Theatre is located on Pennsylvania Avenue near the White House. The National Theatre opened in 1835 and is the oldest touring theater in the country. Jam Theatricals, under the direction of Steve Traxler and Arny Granat, introduced “Broadway at the National,” a new and exciting subscription series. In addition to the world premieres of IF/THEN and MEAN GIRLS, recent theatrical presentations include BLITHE SPIRIT starring Angela Lansbury, JERSEY BOYS, LES MISÉRABLES and the Washington premieres of MOTOWN THE MUSICAL, AMERICAN IDIOT, FUN HOME, SOMETHING ROTTEN! and NEWSIES. In addition, the National has recently presented many special events and concerts, including Kacey Musgraves, Dave Koz, Bryan Adams, Bill Burr, Eddie Izzard, Savion Glover, The Irish Tenors and ThePianoGuys. In addition to the 2018-19 “Broadway at the National“ season, special presentations include THE MAGIC OF ADAM TRENT (February 2, 2019), THE ORIGIN OF LOVE: THE SONGS AND STORIES OF HEDWIG with John Cameron Mitchell (February 8, 2019), JUKEBOX HERO - THE MUSICAL based on the music of Foreigner (March 22-23, 2019.) Tickets for these performances went on sale September 28.